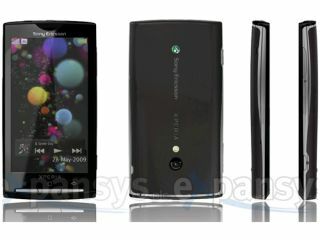 Sony Ericsson's Android phone - when will it be real? Sony Ericsson's long rumoured Android phone, the Xperia X3 / Rachael, has been 'spotted' again in spy pics. The blurrycam shots on Se-nse.net forums don't really give away a lot in terms of how the hardware will look, but if products are leaking out then it means the phone can't be too far from launch. It is bizarre how a decent camera never appears to be on hand for these pictures, so it's impossible to say whether the pictures are real. A German site is also showing off pictures of the phone in white, although there's a sense of photo alteration about them, calling the validity into question. The shots show a full touchscreen device with three buttons at the bottom, and some weird UFO-esque LED lights at the bottom. The Android skin looks pretty similar to that seen on other phones, and the previous hardware specs of an 8MP camera with flash are neither confirmed nor denied. However, with Motorola upping the ante in the Android game, Sony Ericsson needs to get official pretty quickly if it's to be seen as a major player with Google's OS. Online retailer Expansys revealed the phone a few months back, but that page has since been removed, meaning those of us yearning to find out whether the Xperia X3 will really have a 4-inch touchscreen and 3D graphics still have very little idea.